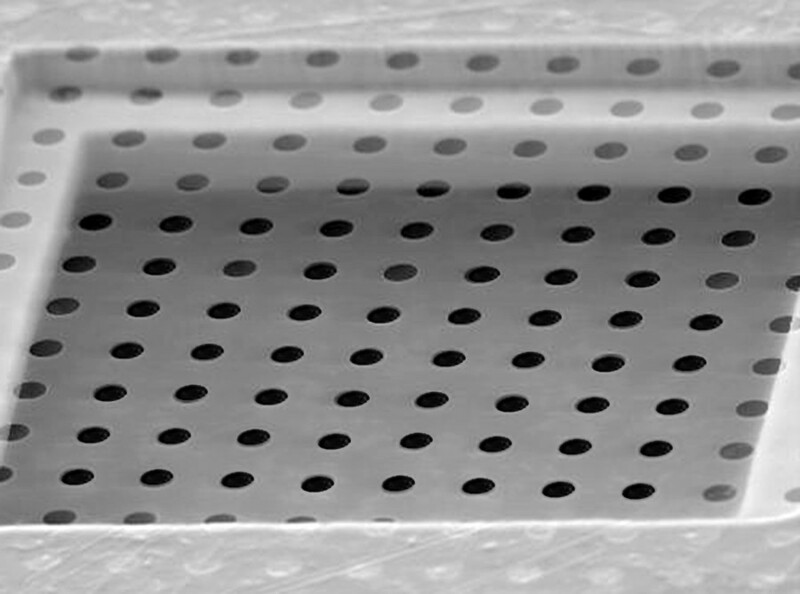 QUANTIFOIL® are perforated carbon support films with clearly defined hole size and spacing. QUANTIFOIL® are especially favoured for cryo-TEM and other applications requiring automation of the microscope. EM Resolutions Ltd also offers QUANTIFOIL ® with a super thin Graphene Oxide (GO) film for a continuous support. Click here to see further details on the advantages of GO. R1.2/1.3 QUANTIFOIL® with a hole diameter of 1.2µm with a spacing of 1.3µm. Available on Copper, Nickel and Gold grids with 200, 300 and 400 mesh sizes. 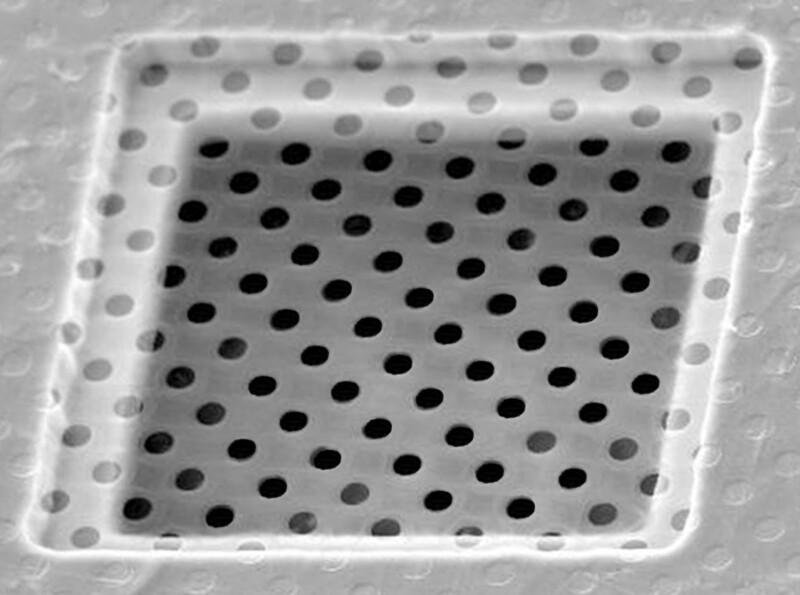 R2/2 QUANTIFOIL® with a hole diameter of 2.0µm with a spacing of 2.0µm. Available on Copper, Nickel and Gold grids with 200, 300 and 400 mesh sizes. 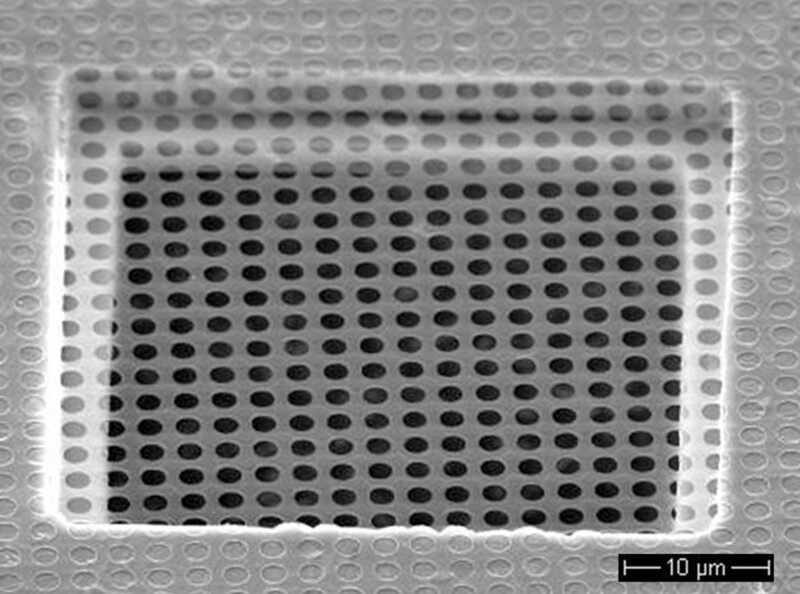 R2/4 QUANTIFOIL® with a hole diameter of 2.0µm with a spacing of 4.0µm. Available on Copper, Nickel and Gold grids with 200, 300 and 400 mesh sizes. Ultrastable Gold Support Films for Electron Cryomicroscopy. During imaging at cryo-temperatures, traditional Carbon support films can sometimes move, particularly at the beginning of irradiation. This movement blurs images and makes it difficult to determine the structures of small and challenging molecules. UltrAuFoil® Holey Gold films will reduce the movement of frozen specimens during imaging and improve image contrast and quality leading to better 3D reconstructions with less data.